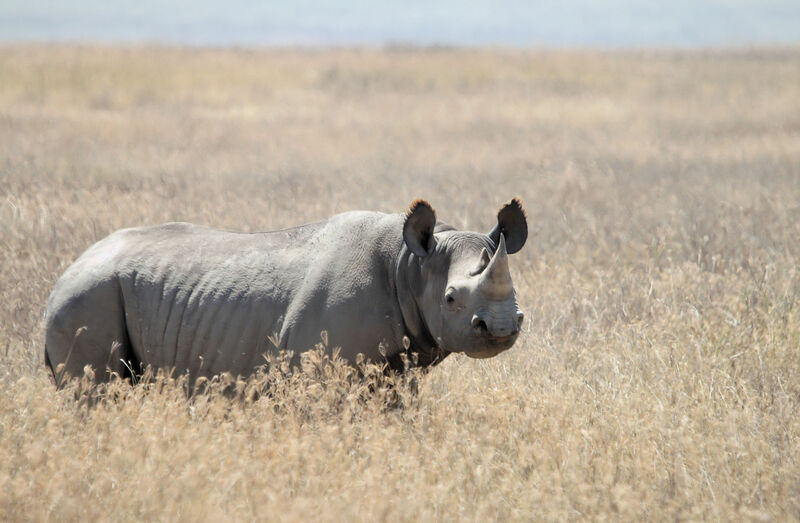 For over 2000 years, rhino horn has been used in Traditional Chinese Medicine to treat a variety of ailments including fever, headaches, and vomiting. It is typically ground or shaved and then dissolved in boiling water to drink. Rhino horn is solely comprised of keratin (as are your finger nails) with a structure more similar to a turtle’s beak or a horse’s hoof than the mass of compressed hair as it used to be thought. Keratin in really vast quantities may be able to detect some poisons, but absolutely not in a practical sense, and it certainly doesn’t have the ability to cure any of the vast number of illnesses listed in the ‘TCM handbook’. Trade in modern rhino horn, and unworked antique pieces that predate the 1947 legislation, is illegal. Unfortunately the demand for horn is high and things like its legality don’t currently seem to be enough to deter the market. Poachers are turning to more sophisticated, and nefarious, techniques to obtain it. 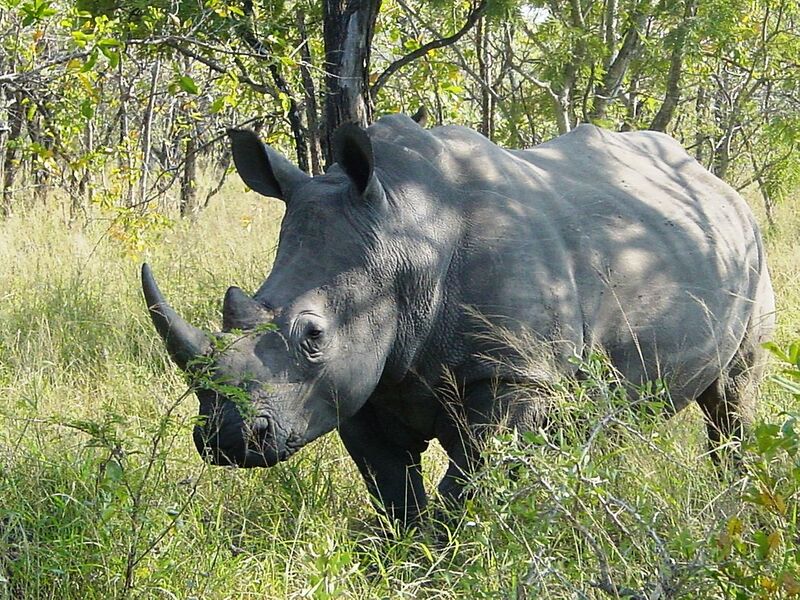 In South Africa, where the highest numbers of wild rhino live, poaching went from 13 deaths in 2007 and 83 in 2008, through 448 in 2011 and 668 in 2012, to a peak in 2014 where 1215 animals were killed for their horn. Since 2015 the number of rhinos killed per year has dropped slightly, largely due to an increase in security and protection in their range states, however the rate of slaughter is still alarming (1054 were poached in 2016 in South Africa alone) and conservationists fear the day that the number of deaths will outnumber the births, and the African rhinos will go into decline. Both African species are still trying to recover after intensive poaching during the 20th Century decimated their numbers, but are (were) recovering due to intensive conservation management. That is until the last decade and the current ‘poaching crisis’. In 2010 the black market for rhino horn incentivised gangs to break into museums in South Africa to steal historic specimens. In 2011 the attacks began to spill over into Europe and around 30 museums and auction houses were targeted in Belgium, the Czech Republic, France, Germany, Portugal, Sweden, and the UK. Many were simple smash and grab jobs, but when museum staff started to get attacked, the seriousness of the situation became all too apparent and it led police to advise museums to remove any rhino horn they had on public display and put it in secure locations. At the time, NatSCA issued an advisory statement with regard to the removal of rhino horn specimens (see references below). So this was six years ago, how has the situation changed? The good news is that museum break-ins have sharply declined since 2011. The bad news is that this is highly likely only because there just aren’t any horns on display or readily accessible to thieves any more. There is noting to steal. However, this year alone, animals have been targeted for their horns and subsequently killed in both zoos, captive bomas, and even rhino orphanages; demonstrating the poaching crisis is far from over. Whilst the protection of the live animals (in both captivity and the wild) is everybody’s primary focus, I fear it will be a very long time before museums can bring their horns out of hiding.